"Jaws" Voted the Best Bond villain of all time! 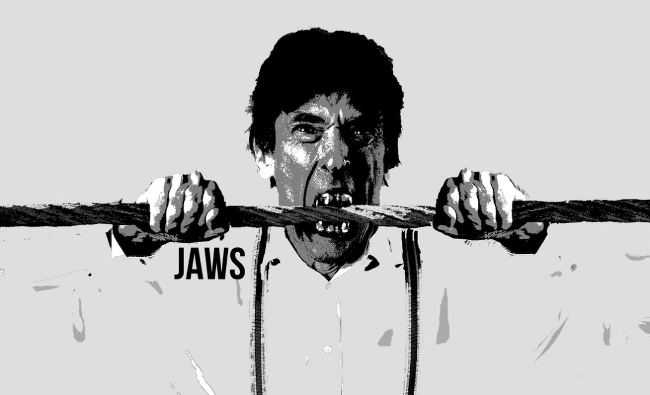 To have hero's you must have villains, and there is none better to shock and awe your guests with than "JAWS." Be it for corporate Bond theme entertainment, or for some private 007 party ideas. He is simply the best known "Bond Baddie" in the business. Numerous James Bond characters also available, including a complete stunt action team. Edmond Wells, the Jaws Lookalike, stand impressively 7 foot tall, and with the stainless steel toothed "ring of confidence." He will leave a good and lasting impression on your guests. Various options available "Jaws" meeting you at the door as security. No ticket, no entrance, no problem. Also mixing and mingling at receptions for Casino Nights. Or could be seen going for a "light bite" interacting among your guests at the dining tables. This makes for excellent photo opportunities, and a most memorable evening for you and your guests. 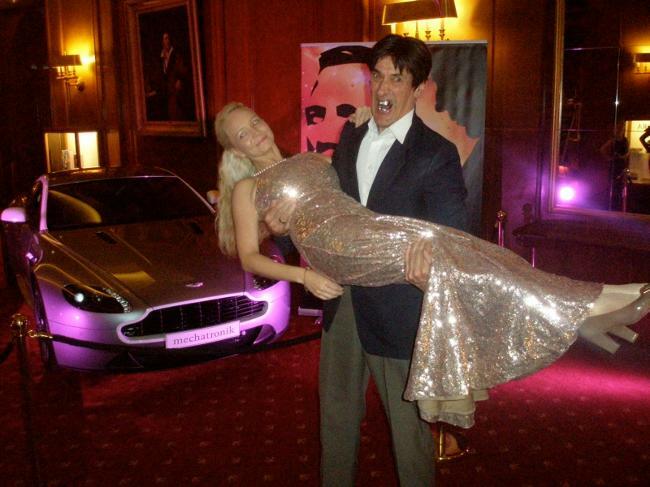 Accompanied by any of your favourite Bond characters, tailor making the performance to suit your event. Jaws 007 Voted favourite James Bond Film character... An absolute "Must" for all Bond Nights! ‘We all have our favourite Bond characters, but you can see why so many of us go for Jaws,’ said HMV spokesman Gennaro Castaldo. Edmond is a Equity registered character actor, with £10.000.000 public liabilty insurance. Trained and qualified Toastmaster for appearances also as the gadget man Agent "Q." Numerous Bond characters available to compliment the Bond event. Below-Bond Night 30th October 2015. at Baden Baden Casino in Germany for the launch of the new Bond Film "Spectre." Here is the special German version web site.